I am originally from Nelson in Lancashire. I became obsessed with clay whilst at school and pursued my studies in ceramics, graduating from Bath Spa University College and later becoming a teacher. I taught Art and Design in various schools in the north east of England before being appointed head of Art and Design at Eggar’s School in Alton, Hampshire. Throughout my time teaching I have continued developing the processes I investigated at university. Over the past seven years I have been able to refine a unique production method. This method allows me to compose and produce highly complex slip-cast stoneware forms using a semi-industrial process. 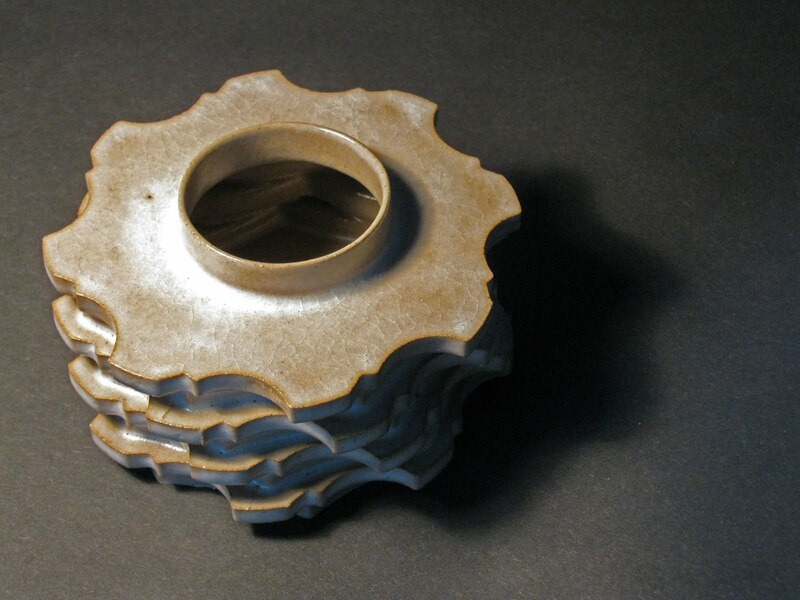 My interest in ceramics stems from the versatility of the medium, its ability to mimic surface textures and limitless applications from electrical components to large scale sculptural pieces. The driving force of my research is an interest in natural complexity and pattern. I am fascinated by the way in which nature uses simple iterations to create inconceivably complex patterns. In my studio work I endeavour to capture some of this complexity by ‘growing’ my forms with natural processes in mind.